Commissioner Gott noted that Commissioner Welch was absent from the meeting. There were no public attendees. Commissioner Gardiner made a motion at 7:36 p.m.; seconded by Commissioner McReynolds to approve the February 26, 2019 agenda. Roll called. Motion carried with unanimous vote. Commissioner McReynolds made a motion at 7:37 p.m.; seconded by Commissioner Gardiner to approve the January 15, 2019 minutes. Roll called. Motion carried with unanimous vote. Commissioner Gott asked Director Reed if there was anything that needs to be brought to the Board’s attention. Director Reed advised not at this time. Commissioner Sheffler made a motion at 7:37 p.m.; seconded by Commissioner Gardiner to approve the January 2019 Financial Report. Roll called. Motion carried with unanimous vote. Director Reed hit the highlights of the Administration report showing pictures of the newly installed storage box for the pickleball players located at the tennis court complex in Harrison-Bruce Park. He also showed the Commissioners pictures of the waterway obstruction on Otis St. in Fosse Park. Director Reed then hit the highlights of the Park Services report showing pictures of the new sprayer, mower and tractor repair. A display of the chimes and bongos was at the meeting and Director Reed advised the Commissioner that “music is coming to the parks”. Commissioner Gardiner, Sheffler and McReynolds had nothing to add for the reports. Commissioner Gott wanted to thank everyone for their attendance at the Marion Chamber of Commerce Annual Banquet and Awards Dinner. He told the Commissioners that he had received a great response from those that attended regarding Director Reed’s acceptance speech. Commissioner Gott also reported to the Commissioners that he has accepted a position as Williamson County Treasurer as of April 1, 2019. He has forwarded to Director Reed and Administrative Assistant Kim information regarding his new position and his position as a Marion Park District Commissioner per the information there is no conflict, and this will be kept on file incase the need for proof arises. Commissioner Gardiner made a motion at 8:02 p.m.; seconded by Commissioner McReynolds to approve going into Executive Session. Roll called. Motion carried with unanimous vote. Commissioner Gardiner made a motion at 8:17 p.m.; seconded by Commissioner McReynolds to approve reconvening into Open Session. Roll called. Motion carried with unanimous vote. a. Discuss / Approve hiring of Manager and Assistant Managers positions at the Aquatic Center. Commissioner Sheffler made a motion at 8:35 p.m.; seconded by Commissioner McReynolds to approve hiring of Manager and Assistant Managers position at the Aquatic Center. Roll called. Motion carried with unanimous vote. b. Discuss / Approve hours for Manager and Assistant Managers for March / April / May 2019 in preparation for 2019 Aquatic Center (40 hours per Manager and Assistant Manager for the 3 – month period). Commissioner Sheffler made a motion at 8:36 p.m.; seconded by Commissioner McReynolds to approve hours for Manager and Assistant Managers for March / April / May 2019 in preparation for 2019 Aquatic Center (40 hours per Manager and Assistant Manager for the 3 – month period). Roll called. Motion carried with unanimous vote. c. Discuss / Approve wage for Manager ($13.50 / hr.) and Assistant Managers ($10.50 / hr.) position for the Aquatic Center. Commissioner Sheffler made a motion at 8:35 p.m.; seconded by Commissioner McReynolds to approve wage for Manager ($13.50 / hr.) and Assistant Managers ($10.50 / hr.) position for the Aquatic Center. Roll called. Motion carried with unanimous vote. d. Discuss / Approve replacing the upright freezer in the baseball concession building. The Commissioners sat silent, no motion made. e. Discuss / Approve MYSBA lease of N. Otis Street Concession building. Commissioner Gardiner made a motion at 8:50 p.m.; seconded by Commissioner McReynolds to approve MYBSA lease of N. Otis Street Concession building. Roll called. Motion carried with unanimous vote. f. Discuss / Approve MSI lease of concession building at the Soccer Complex. Commissioner Gardiner made a motion at 8:50 p.m.; seconded by Commissioner McReynolds to approve MSI lease of concession building at the Soccer Complex. Roll called. Motion carried with unanimous vote. g. Open sealed bids for 2018 / 2019 Pick-up (1/2 T, 4×4) with Trade – In. Commissioner Gardiner made a motion at 8:54 p.m.; seconded by Commissioner McReynolds to approve opening sealed bids for 2018 / 2019 Pick-up (1/2 T, 4×4) with Trade – In. Roll called. Motion carried with unanimous vote. Commissioner Gott read bid specs and opened bids. Only one bid received from Watermark Ford, Hyundai & Lincoln of Marion. Commissioner Gott read the bid information from Watermark to the Commissioners. h. Discuss / Approve awarding bid for 2018 / 2019 Pick-up (1/2 T, 4×4) with Trade – In. Commissioner Gardiner made a motion at 9:03 p.m.; seconded by Commissioner McReynolds to award bid for 2018 / 2019 Pick-up (1/2 T, 4×4) with Trade – In to Watermark Ford, Hyundai & Lincoln of Marion. Roll called. Motion carried with unanimous vote. 12. Next Meeting Date: March 26, 2019.  Commissioner McReynolds made a motion at 9:08 p.m.; seconded by Commissioner Sheffler to adjourn the Regular Meeting of the Marion Park District Board of Commissioners. Roll called. Motion carried with unanimous vote.